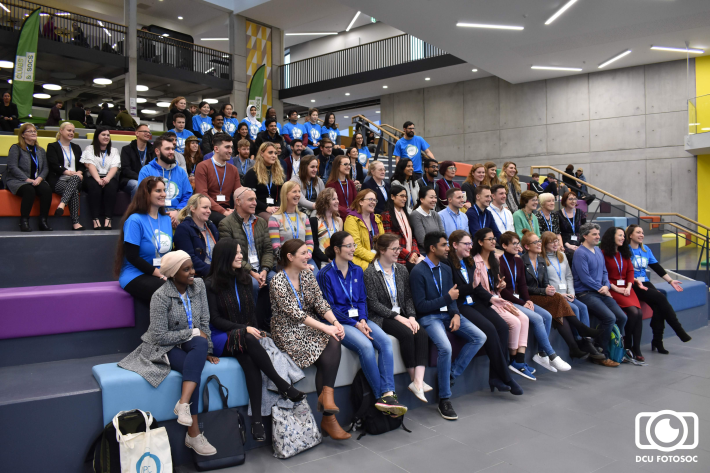 Dublin City University hosted the first Irish Postgraduate Research Conference on the 8th and 9th November. This year’s theme was “Research Contributing to Society”. 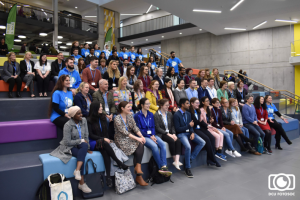 During the two-day conference over 120 delegates from universities across Ireland and abroad had the opportunity to share their research in a social and interdisciplinary forum, with a total of 91 oral and poster presentations on topics including Education & Learning, Medicine and Mental Health and Technology and Digitalisation among various others. The conference provided its delegates with access to different workshops in Research Communication, Grant Writing, Literature Referencing and Data Collection and Analysis. These aimed at improving the attendees’ soft skills, which are becoming essential in the current employment market. 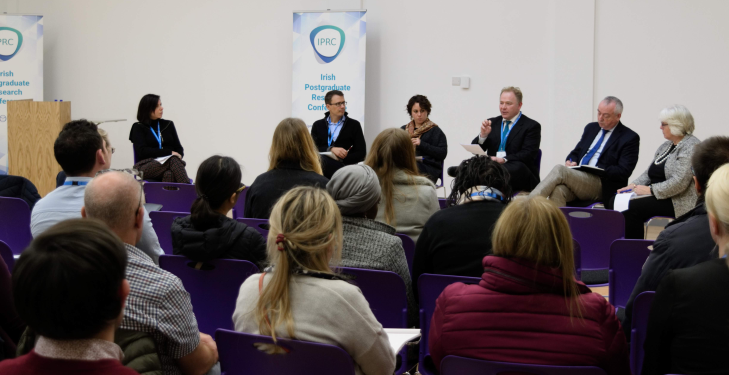 In addition to the Student Sessions, the conference highlights included two Keynotes: “Hard and Soft Borders in Communicating Research” by Brian Trench, president of the PCST Network and “Veil and Headscarf Bans as Harassment” by Mathias Möschel, associate professor at the Central European University, Hungary. The IICRR is a Research Centre based in Dublin City University.